VenturEasy Blog - Page 3 of 14 - Company Registration, Tax Consultancy, Trademark, Compliances in India. Audit means an examination of books of accounts, statutory records, documents and vouchers conducted with the purpose of establishing the fact that the accounting records presents a true and fair view of the Organization. It is conducted by a party which is independent of that organization. There are various kinds of audit being conducted under different laws such as statutory audit, internal audit, cost audit, stock audit etc. 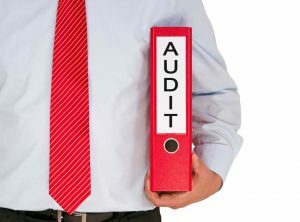 Two of the important kinds of Audit which often create confusion among Business owners are Statutory Audit and Tax Audit. A statutory audit is an audit, which is made mandatory under The Companies Act 2013. The purpose is to check the truthfulness and fairness of accounting records. On the Contrary, Tax Audit is defined as an audit of the accounts of the taxpayer for the requirement of Section 44AB of The Income Tax Act, 1961 for assessing the correct income of the Assesee. Applicability Statutory Audit is applicable to all the Companies registered under Companies Act 2013 and erstwhile Companies Acts. Tax Audit is applicable on all Companies, LLP’s, Partnership Firms as well as Individuals or Professionals whose turnover or Gross Receipts crosses the threshold limit. Threshold Limit There is no threshold limit of Turnover or Gross Receipt for Statutory Audit. It is compulsory for every company even if the Company has no turnover or had not commenced any business at all. Purpose The purpose of the statutory audit is to ensure reliability, transparency, truthfulness and fairness of the financial statements of the Company. The purpose of Tax audit Is to ensure proper maintenance of books of accounts to truly reflect the taxable income of the assesse and preparation and submission of Tax Audit Report and Income Tax Return. Due Date Statutory Audit should be completed within 6 months from the close of the Financial Year but before conducting the Annual General Meeting to present the Audited Accounts to the Shareholders. The due date for completing Tax Audit and filing of Tax Audit report with the Income Tax Department for a Financial Year is 30th September of the next year (Assessment Year). The most of common structures for Non-Profit Organization in India are Trust, Society and Section 8 Companies. Trust: Trust is considered to be the oldest form of Charitable Organization. Trust can be either private or public. It is primarily created for the benefit of a section of people. Trust is governed by the Indian Trust Act 1882. The main instrument for Registration of Trust is Trust Deed. The creator of the Trust also appoints trustees. The trustees are given control or powers of administration of property in trust with a legal obligation to administer it solely for the purposes specified. Society: Societies are governed under Society Registration Act 1860. It is generally formed by seven or more people who come together for a common charitable purpose. The main instrument for Registration of Society is the Memorandum of Association. Section 8 Company: Section 8 companies are governed by Companies Act 2013. A company under this section can be formed for promoting charitable object relating to art, commerce, science, health and so on. These companies enjoy all the privileges and subject to all obligations of Limited Companies. 1 Statute/Legislation Trust is governed by the Indian Trust Act, 1882. Societies are governed by the Societies Registration Act 1860. Many states, however, have variants on the Act. Section 8 Companies are governed by the Indian Companies Act, 2013. 2 Jurisdiction Trusts are registered under the jurisdiction of Deputy Registrar/Charity commissioner of the relevant area. The power to register a society lies in the hand of Registrar of societies. The power to register a section 8 Company lies with the Regional Director & Registrar of Companies of concerned state. 3 Registration Document The primary instrument for Registration of Trust is the Trust deed. The primary instrument for Registration of Society is its Memorandum of Association. The primary instrument for Registration of Section 8 Company is the Memorandum and Articles of Association. 4 Minimum Requirement At least two trustees are required to register a public charitable trust. 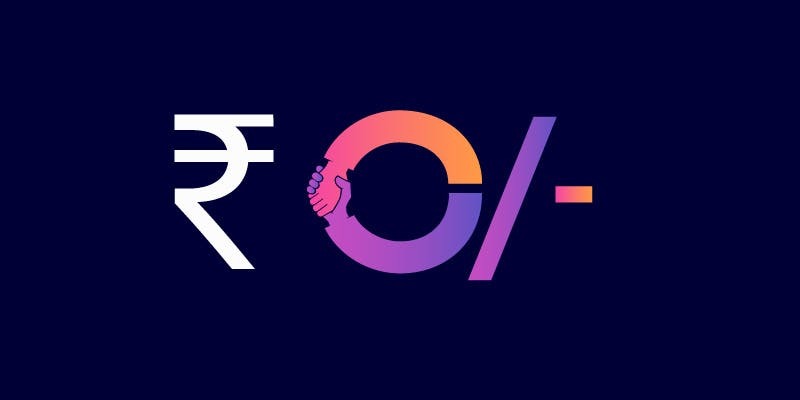 In general, Indian citizens serve as trustees, although there is no prohibition against non-natural legal persons or foreigners serving in this capacity. Minimum Seven members are required for formation of state level society. Minimum 2 directors and shareholders. Directors and Shareholders can be the same person. 5 Board of Management Trusts are governed by their trustees or by board of trustees. Societies are usually managed by a governing council or managing committee. It is managed by the board of directors. 6 Revocable/ Irrevocable Indian public charitable trusts are generally irrevocable. Societies may be dissolved. Dissolution must be approved by at least three-fifths of the society’s members. A section 8 Company may be dissolved. 7 Annual Compliance There is no requirement of annual return filing. Societies must file annually, with the Registrar of Societies, a list of the names, addresses and occupations of their managing committee members. There is requirement of annual compliance by filing of annual accounts and return of company with the Registrar of Companies. 10 Registration with Income Tax u/s. 12A & 80G as NGO At par with society & Section 8 Company. At par with trust & Section 8 Company. At par with trust & Society. From the above comparison, it is evident that a Section 8 Company is one of the best forms of running a NPO. However, it has high cost of registration, maintenance and takes substantial amount of time for its incorporation. Trust and Societies are effective structures from an economic standpoint. Trusts are easy to form and maintain, hence highly popular. What is Dematerialization of shares? The process of Dematerialization of shares was introduced to convert the whole Capital Market into electronic mode. Dematerialization, in simple terms, is a process of converting physical shares into electronic mode which is maintained in an account with the Depository Participant. The Account in which the shares are maintained is termed as the Demat Account. For the purpose of converting p hysical shares into electronic mode, the Depositories work as the Organizations responsible for maintaining securities in electronic mode. For this reason, the Depositories are also termed as Banks. 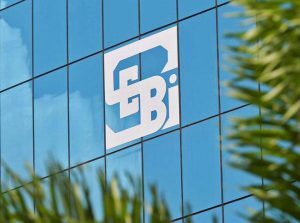 Currently, there are two depositories registered with SEBI namely National Securities Depository Limited (NSDL) and Central Depository Services (India) Limited (CDSL). The intermediaries through which Depository Services can be availed by investors are termed as Depository Participants. Dematerialization offers flexibility along with security and convenience. Dealing in Demat shares is beneficial to stakeholders, be it investors, brokers or Companies, in various ways. • It is cost friendly to the investors as it does not involve any documentation. • Efficiency and timeliness of the process is also maintained while dealing in Demat format. • Investors save stamp duty while transferring shares in Demat Format. • There is no risk of duplication of shares and loss of important certificates. How to Demat your Physical Shares? 1. An investor intending to dematerialise its securities needs to open a demat account with a Depository Participant (DP) by duly filling the Account Opening Form and furnishing relevant details. 2. Once the Account is successfully opened, the next step is to apply for Demat of Shares by filling the Dematerialization Requisition Form (DRF). 3. The DRF form should be duly filled in with number of certificates, no. and type of securities. 4. The DRF form has to be furnished to the concerned Authorities along with the Original Physical Share Certificates of the Company. 5. Once the Physical Certificates are verified by the concerned Authorities, they are converted into their respective electronic forms. 6. After the Demat of shares, the DP will submit all the Certificates to the concerned Registrar and Transfer Agent. 7. Once the Registrar confirms the Dematerialization request, it dematerializes all the certificates, destroys the physical certificates and updates the same in its records. 8. Once the confirmation of Dematerialization is sent to the Depository, the same in updated to the DP. 9. The DP in turn updates the account of the investor, and a credit in holding of shares is reflected in the investor’s account electronically. All LLPs registered with the Ministry of Corporate Affairs need to file Annual Returns and Statement of Accounts for every Financial Year. It is mandatory for a LLP to file a return irrespective of whether it has done any business. There are three mandatory compliance requirements to be followed by LLPs. Annual Return or Form 11 is a summary of an LLP’s Partners. It is also an indication of whether there is any change in the management. Every LLP is required to file Annual Return in Form 11 to the Registrar within 60 days from the closure of a financial year. That is, the Annual Return has to be filed on or before 30th May every year. Form 11 or Annual Return is applicable to those LLP’s which were registered till 30th September 2017. For LLPs registered after 1st October 2017, the return can be filed in the year 2019. All LLPs are required to maintain their Books of Accounts in Double Entry System. They also need to prepare a Statement of Solvency (Accounts) every year ending on 31st March. For this purpose, LLP Form 8 should be filed with the Registrar of Companies on or before 30th October every year. Form 8 or Annual Statements is applicable to the LLPs registered till 30th September 2017. For LLPs registered after 1st October 2017, the Annual Statements can be filed in 2019. It should be noted that LLPs whose annual turnover exceeds Rs. 40 lakh or whose contribution exceeds Rs. 25 lakh are required to get their accounts audited by a qualified Chartered Accountant mandatorily. *An Audit of accounts is mandatory under the Income Tax Act when the annual turnover of LLP is more than one hundred lakh rupees. Running a business, be it in the form of a One Person company, LLP or as a Private Limited Company, is no easy task. It is an investment of time, money, and effort and also requires the know how of many formalities, regulatory or financial. Filing of all the forms and returns on time is very essential. Heavy penalties are imposed if the Forms are are not filed on time with the Registrar. The approved name was valid for a period of 60 days for both new and existing companies. An approved name is valid for a period of- 20 days from the date of approval, in case of new company. – 60 days from the date of approval, in case of existing company.